Ask a VC AI Edition and AI Startup Expo @ BNY Mellon - 18+ Investors! More! 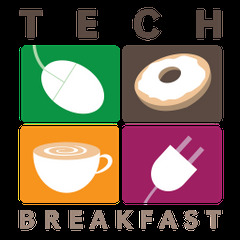 TechBreakfast has partnered with Cognilytica to bring their very popular Artificial Intelligence (AI) focused Venture Capital and Expo event back to NYC this spring! Want an opportunity to hear from the region's best investors? Want an opportunity to pitch in front of your peers and investors? Meet investors 1:1? Showcase your startup to a large AI-focused audience? Get all that and more at our exclusive Ask a VC and Expo event! NOTE: You need to register online at http://askavc-nyc-2018.eventbrite.com for this event! Cost is only $59 for startups if you register by March 31, 2018! We'll have dozens of high quality Venture Capital (VC) Investors there answering your questions about what the current VC landscape is like for AI and ML focused companies, what investors look for, and more. Plus, you'll have a chance to tell your story and meet with some of the investors 1:1. ... and more announced soon! ... contact us if you're interested in sponsoring! Each Lightning Round will consist of randomly selected participants who have elected to participate in a public embarrassment, er, public feedback. We'll be running one separate Lightning Round after each panel - two total! You cannot register for the lightning rounds in advance. Selection of lightning rounds are done 100% randomly using a spinning wheel live after each Panel! Want an opportunity to chat 1:1 with investors in your area(s) of interest? We'll be running an informal meet-and-greet with the investors after each panel. Make sure to do your research beforehand on who you would like to talk to and approach them after their panel. NOTE: You need to register online at http://askavc-nyc-2018.eventbrite.com for this event! !